Fill out the form to request your copy of the webinar recording! Did you know your next great hire is already in your network? Your company's talented team is brimming with connections to even more qualified candidates, and if an employee referral program is not a key tool being used to find and engage them, recruiters are missing out on the most cost-effective and efficient source of hires. Learn the essentials of building your employee referral program with Amy Zuckerman, recruiter at Lyft, and Entelo's Loni Spratt, as we discuss the basics (and beyond) of developing an effective network from within. Entelo welcomes presenter Amy Zuckerman for our webinar! Amy Zuckerman is the lead technical recruiter at Lyft where she's responsbile for finding, attracting, and bringing on the best talent for the team's growing business and culture. 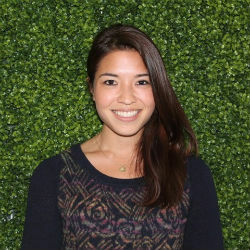 Before joining Lyft, she was a recruiter at Microsoft and worked on the people operations team at Dropbox.